There are certain plumbing appliances within your home that you could probably never imagine living without. Take, for example, your kitchen sink. There are some components of this plumbing fixture that are more of a luxury than a necessity, such as the garbage disposal, too. Still, even though you don’t have to have a garbage disposal system, it’s still a pretty handy part of your kitchen plumbing in Teaneck & Bergen County, NJ, if you do. As such, you want to make sure you take care of this component and the rest of your kitchen sink as best you can, so that you can enjoy the benefits and convenience that comes from your kitchen plumbing. We’d like to help you avoid problems with your garbage disposal system as well as your kitchen sink drain, so we’ve provided some care tips below. 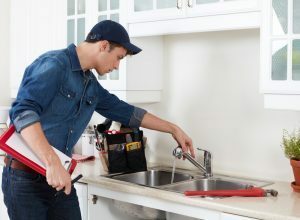 We are here to impress on you just how important it is to hire a licensed, insured, and experienced contractor when you need any sort of plumbing work done in your home. It may seem like a nice idea to save money upfront, but in the end, hiring the wrong plumber can cost you far more.